Although not every factor leading to an accident or crime can be prevented, ensuring that a building or location is properly secured is one way that accidents and crime are halted every single day. If you have been involved in an injury due to negligent security in Orlando, it’s important that you speak with one of our attorneys well versed in the field. Many unfortunate incidents occur every day because the necessary security services required at locations were not present or those that were present are improperly trained or supervised. Shouldn’t someone be held responsible if his or her actions or inactions leading to the event causing your injury? Our attorneys think so. We have helped many individuals like you seek compensation for the damages or losses attributed to the incident caused by poor security. With over 100 cumulative years of experience, the attorneys at Friedman, Rodman & Frank are eager and ready to seek compensation on your behalf. Call us now at 877-448-8585 to schedule your free consultation. What do Negligent Security Accidents in Orlando look like? 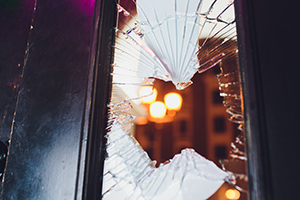 Broken doors or locks allow uninvited guests to enter the premises, causing you harm or damaging your property. Understaffed security personnel may not have the resources to prevent accidents or crime on the premises. Undertrained staff may fail to act accordingly when an issue arises on the property. Improper or malfunctioning lighting systems can provide refuge to criminals looking to cause harm. These few examples demonstrate how important it is that the party responsible for providing security to a property does their job. Your accident or incident may have taken place in a variety of different spots, including but not limited to apartment complexes, shopping malls, amusement parks, parking garages, nightclubs, hotels, and many other locations. As soon as you contact us to discuss what happened to you, we can begin to determine what steps to take to build a successful case. Our experience guides us as to what course of action is best suited for your specific situation. The first step is the collection of evidence, whether that may be security footage, witness accounts, crime grids, police reports or other helpful documentation. If necessary, we will call upon one of our expert investigators to examine the scene of the accident or incident to provide key support for your case. Our goal is to collect as much helpful information as possible to ensure that you are properly compensated for your injury. 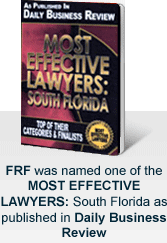 It is in your best interest to call our experienced attorneys as soon as possible. Time plays a huge factor when collecting evidence and building a case, which is why it is important that you schedule a free consultation with us to discuss the important details of your accident or incident. Ensure that those responsible for your accident or incident are held accountable for their lack of attention that caused the negligent security accident in Orlando which has affected your family. To reach us any day of the week and any hour of the day, call us at 877-448-8585. Our consultation is free, confidential, and available in English, Spanish, or Creole. We do not receive a fee unless and until your case reaches a successful resolution.